There are a few changes happening in the blog today. 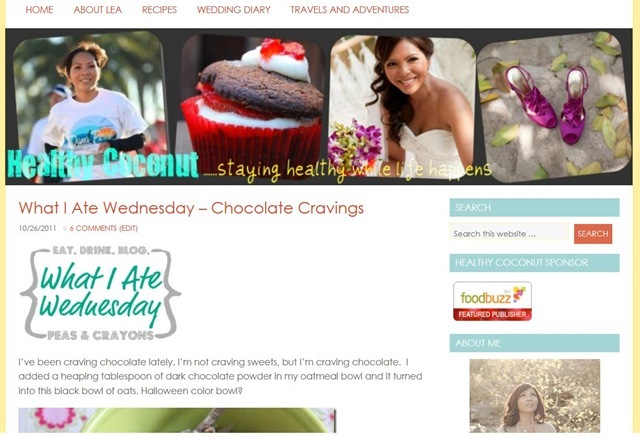 First, I made some changes to the blog design. My blog is a medium where I can talk about things that make me happy and talk about things I love to do. I have written 300 posts and have been blogging for a little over a year now. I thought a design change would be nice. I wanted to make it more vibrant and colorful. I’ve been toying with the idea of changing the design for a while now but I had to wait and learn a little bit more about web design and all that technical stuff that goes with blogging. I’m proud to say that I did all the changes myself. Second, the blog domain name is also changing. 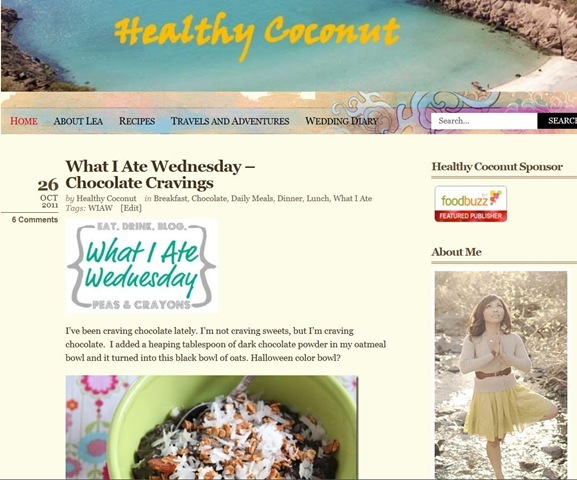 The new URL is –> HealthyCoconutBlog.com. Please make the changes in your email and reader subscription, blogroll and etc. If you are reading the blog from your email or on your reader, then let me show you the changes. This was the old design. Below is the new and current design. It’s a work in progress. I kept the light blue and yellow colors because I love them from the old design. I created the header using picnik.com and still playing around with it too. Thanks for reading my blog and for your support and comments! Looks awesome!! Love the header!! I love the new look! very fresh and fun 🙂 you’re so gorgeous! Love it so much better! Glad you got your new design! Congrats on the new design! So cute! I love the new design! It much be a one year blogger thing because I’ve been bloggin a little over a year and just started doing research on how I can change mine up! I want to do something a little more soft and organic than what I have going on now! I love all your new changes and love your new header! I’ll definitely have to change my reader to your new domain! I love the healthy almond joy version! the rest of the food looks great! love the new design girly! I knew something was different when I clicked on your page. Lol. Loving the new design and still keeping the fresh lively colors.